With this latest blog entry we want to touch on what occurs after you see improvement to a fico score. Successful completion of any service that repairs credit does not mean your financial problems are over. There will always be existing issues that will need your attention. You’ll need to do a complete overhaul of your financial life to rebuild your credit score and get it to the desired level. Here are a few tips to help you maintain good credit after FICO repair. Take some time to compare and research the many different online repair companies. After the process is completed the first thing you’ll need to do is check your report from the bureaus. Ensure that everything the company promised you has actually been accomplished. The law even allows you to pay FICO increase services after you get the promised results. Has the company promised to eliminate certain details from your report? Do they ensure financial information has been removed before you pay them. There are many other red flags like this that come up with some of the lesser known services. After credit repair, you’ll need to know where you stand so go ahead and order your latest credit score. 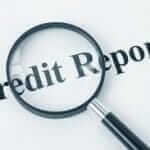 Your score will tell you where your credit stands after repair. If you have a credit score in the 500s and 600s, set a goal to raise the score to mid-700s, no matter how long it will take. Timely payments have a significant effect on your score so you may need accounts with good payment habits. You probably had a few accounts closed or removed from your credit report so go ahead and open a new account. If getting a new major credit account is not possible, probably due to your low score, you can opt for a secured credit card. Keep in mind a secured card will require you to make a security deposit before you get a credit limit. Managing your credit card debts will not be difficult if you know how. For a start, ensure your card balances are usually below 25% of your limit. Spend only what you can confidently afford to pay every month. This good practice that will even add a few points to your fico score. Remember, a balance that exceeds your limit by 50% will decrease your score. Once you get to this part of the process you may even want to look into getting a secured credit card that reports to the bureaus each month. This seems counterproductive, but as long as you make your payments on time you will probably be in better shape. Most applicants will see a significant increase to their personal finance and budget worksheets by doing this. It is advisable to set your monthly bills on automatic payment, which means the deductions will be made automatically after you get your paycheck. In this way, you’ll not run into temptations of spending money that was budgeted to pay your bills. The last thing you need is to fall back on your bill payments again. Falling back on payments will only hurt your score and take you through the credit repair process again. It goes without saying that from now henceforth, you’ll be paying your bills on time and you’ll adopt better financial habits to maintain a good 3 bureau report. Pay debtors on time and avoid getting into unnecessary debts again. You have an opportunity to start afresh so make it a priority to pay your bills on time. Life after increasing your FICO info will be a bit humbling but without the stress of living with a poor credit score. You will no longer need to ask if it’s in your best interest to repair your credit score on your own! Don’t fall into this situation again. You don’t want to be in a scenario where you have to look for the best credit repair company again. Is It Worth The Time To Repair My Credit Score?